You thought it was bogus? Were afraid of being adjusted (the “crack”)? Didn’t think they could help you? I will preface by saying that the word “chiropractic” is a blanket term. All chiropractors are different — some more than others — and can have a wide variety of specializations, not simply neck and back cracking! Out-of-nowhere neck, back, shoulder, etc. pain begins to emerge — what do you do first, honestly? Typically, we start in the medicine cabinet with NSAIDs like acetaminophen (Tylenol), ibuprofen (Motrin/Advil), and naproxen (Aleve). If OTCs and time don’t do the trick, then we pay a visit to our family physician where we’re likely to get a script for muscle relaxers and refer you for an orthopedic consult. At the orthopedist, you’ll likely succumb to image studies like X-ray, CT scan, or MRI. Based on your images and an examination, one of two recommendations is often made: surgery or physical therapy (PT). Disregarding the risks associated with surgery, what happens when the procedure fails? Surgery is not a great choice when pain is associated with a positive — often incidental — finding on an MRI. Why is PT prescribed after the much more invasive route of surgery is ruled out? When assessed properly by a trusted conservative musculoskeletal care specialist, whether a chiropractor, physical therapist, athletic trainer, or enter professional title here, many muscle and joint problems can be resolved before surgery is even a thought. Seek conservative care first, then work your way to more invasive procedures when less invasive has been ruled out! Dr. RJ Burr, Plymouth, Chiropractor, working a patient through a DNS rehab exercise to improve core stability. Remember when I said all chiropractors are different? Chiropractic schools have a wealth of nutrition credits in their programs, and some chiropractors take extra courses to become experts in nutrition and functional medicine. Functional medicine, defined by the Institute for Functional Medicine, is a personalized, systems-oriented model that empowers patients and practitioners to achieve the highest expression of health by working in collaboration to address the underlying causes of disease. Functional medicine or nutrition-focused chiropractors are able to diagnose and treat various problems such as autoimmune diseases, hormone dysfunction, digestive problems, and fibromyalgia, among others, which are often missed or not treated properly by mainstream medicine. Utilizing a comprehensive functional assessment process, functional medicine and nutrition-focused practitioners are able to diagnose and treat complicated disorders by addressing dietary habits, lifestyle habits, and nutritional deficiencies via supplementation, custom tailored to the individual. Why do I say this? it’s true! If we don’t commit to change the behaviors and habits which got you here in the first place, how do you expect a resolution? As healthcare practitioners, a chiropractor’s goal with patients is not sick-care but health-care. As stated in number three, we are educators. As educators, we teach individuals how to fish opposed to giving them a fish. Commonly, chiropractors practice with a “holistic” approach meaning we view the individual as a whole, identifying and treating more than physical symptoms. By employing a combination of physical treatments, workplace ergonomics, postural education, nutritional interventions, lifestyle advice, and other strategies (practitioner dependent), chiropractic is more than making bones make noise — it’s about thriving, not just surviving. Discussing the many flavors of chiropractic, we understand it’s more than just making noise to put a band-aid on back pain and neck pain. Did you know chiropractic combined with rehabilitation and strength and conditioning principles can improve your physical function? Daily, we put our bodies through the ringer. Periodic treatment from a well-qualified chiropractor or physical therapist will help keep your body in tip-top shape, improving your ability to perform and progress in your training programs by optimizing the body’s ability to function at it’s best. There are many great reasons to visit a chiropractor, some you may have never known about. Every chiropractor is different, so just because one didn’t work out for you doesn’t mean someone else will offer the same experience. No matter who you see — chiropractor or not — it’s of the utmost importance you understand your problem, the plan of action, expectations for recovery, and how to manage your health after treatment. If you don’t understand the details of why you’re doing what you’re doing — more than “because my doctor told me to” — there’s a fundamental issue. 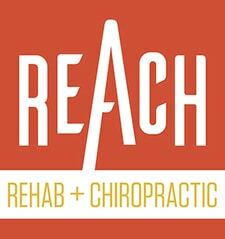 The credentialed Mckenzie Method chiropractors at REACH practice with intent: to get you back to what you love doing and quickly as possible. We create clarity by helping you understand your problem and how it behaves, so we can precisely apply the right tools for the job. No unnecessary tests, treatments, or procedures.